Portland Therapist: Katje Wagner - Therapist 97209. Send A Message To Dr. Wagner. Are you striving for a deeply fulfilling life but feel stuck in how to get there? Are you struggling with physical health issues and the pain, depression and anxiety they often bring? Is your relationship facing hard times, or are you wondering how to find a special someone? Do you want your passion and profession to come together as one? Katje Wagner, PhD, LPC, DiplPW is committed to providing compassionate guidance to support you with these and many other life issues. 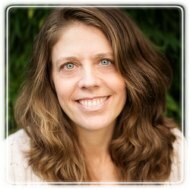 Dr. Katje Wagner has worked for over 20 years in the fields of holistic health, counseling, and the creative arts. Katje’s work as a holistic psychotherapist and creative consultant builds on years of experience in clinical and somatic psychology, Process Work, as well as women’s healthcare and midwifery, yoga and bodywork, the performing arts, diversity and social justice issues. With this unique fusion, she brings care and sensitivity, subtle awareness and keen insight, and also fun and creativity to her work with individuals, couples, and groups. Using the body as a source of information and wisdom for whole-life growth and development, Katje helps people connect deeply with themselves, experience healing transformation, and unfurl the unique gifts and callings each person brings to this world. Katje works extensively with people dealing with complex physical health issues, such as chronic pain, adrenal fatigue, auto-immune disorders, weight concerns, as well as general aches, pains, and mysterious or undiagnosable physical experiences. She collaborates with other healthcare practitioners to create a cohesive and holistic care team. Katje’s interest in the quest for fulfillment alongside the complexity of body experiences led to her doctoral research studying women’s experiences of fulfillment, issues of diversity, and the role of the body in finding and navigating fulfilling life paths. She now guides women, men, and couples through the process of using inner and outer challenges as opportunities for profound healing, personal and professional development, and greater fulfillment in all areas of life. Clients can also use their health insurance to see Katje as an out-of-network provider. Katje welcomes and works with people of all races, gender identities, ages, sexual orientations, and physical abilities.